Home › Toys › 150 Cards For Horrible People An Unofficial Expansion To The World's Most Inh..
150 Cards For Horrible People An Unofficial Expansion To The World's Most Inh.. This is the 2nd edition without any of the grammar or spelling mistakes of the 1st. Are Your Horrible Game Nights Getting Boring? Have you played the game and expansions so many times that by now you'vememorized all the possible funny combinations? Does the game simply not exciteyou like it used to anymore? Or perhaps you're just looking for something alittle bit different? If any of this sounds familiar to you then Cats Abiding Horribly is exactlywhat you need. 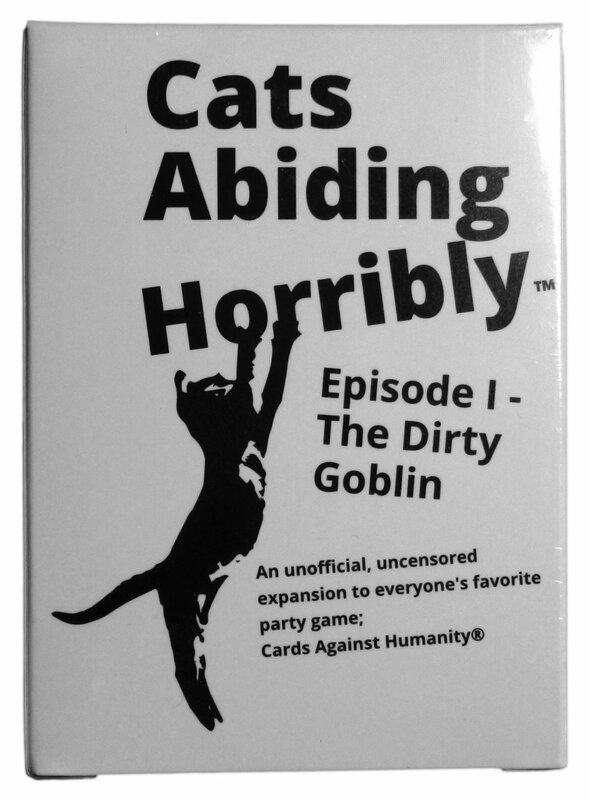 Revitalize your games with 150 new, uncensored, unofficial and anti-politically-correct cards. The deck contains 110 white, 40 black + 10 blankbonus cards that mix in seamlessly with the original game and expansions. Printed on high-quality casino cardstock with a linen finish, you areguaranteed to enjoy this expansion for a very long time.